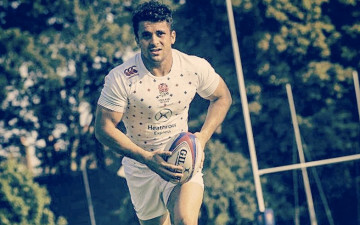 “I was 10 or 11 when I realized I was different to my friends,” England Rugby Sevens star Sam Stanley tells the Sunday Times in a new interview. Now, 23-year-old Stanley, who has represented England a total of five times internationally, is finally speaking openly about his sexuality, and making international headlines in the process. He’s the first English professional rugby union player to come out publicly. But it hasn’t always been an easy road. Stanley revealed that a few years ago he contemplated suicide after fearing his sexuality would might ruin his rugby career. In an interview with BBC Radio, Stanley added that he hopes by coming out publicly he will help others find the confidence to let go of their own “loneliness, anger and hurt” of being closeted. Stanley’s announcement comes less than a month after rugby league player Keegan Hirst also revealed he is gay. Both players have been met with overwhelming support from family, friends, and fans.